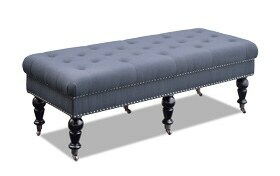 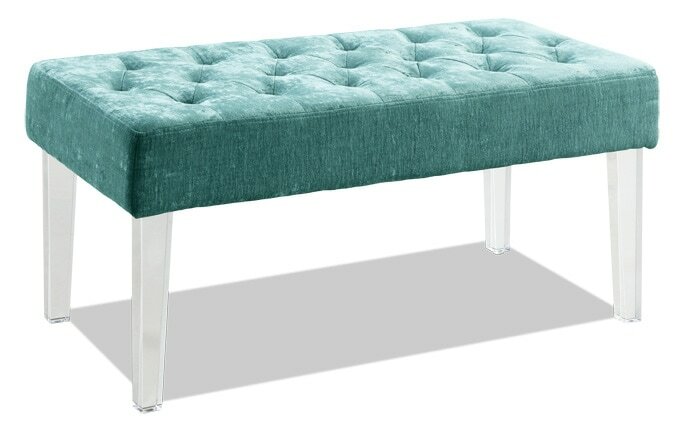 Evoke elegance with my Delfina Charcoal 50" Bench! 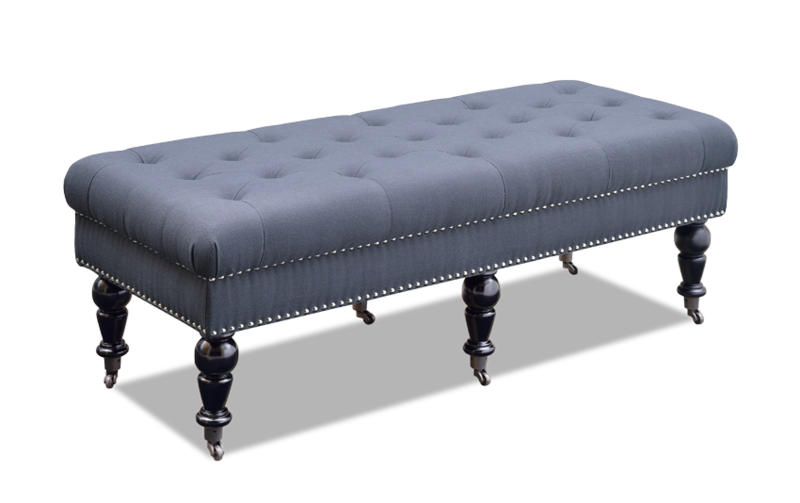 Constructed with a timeless design that easily complements traditional and transitional homes with an upholstered light blue linen fabric. 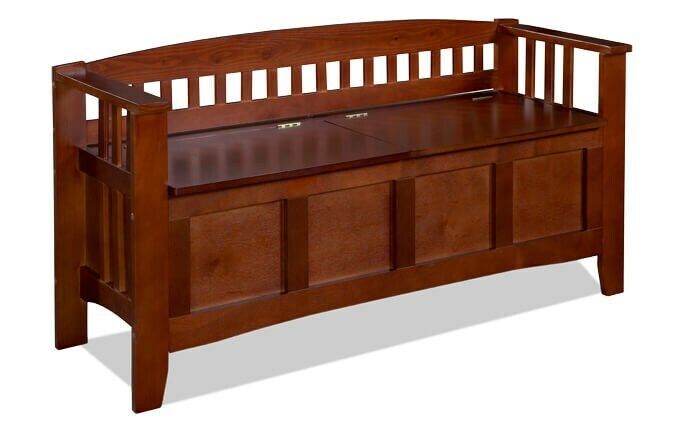 The bench is accented with designer details such as burnished bronze nailheads and dark espresso finished legs. 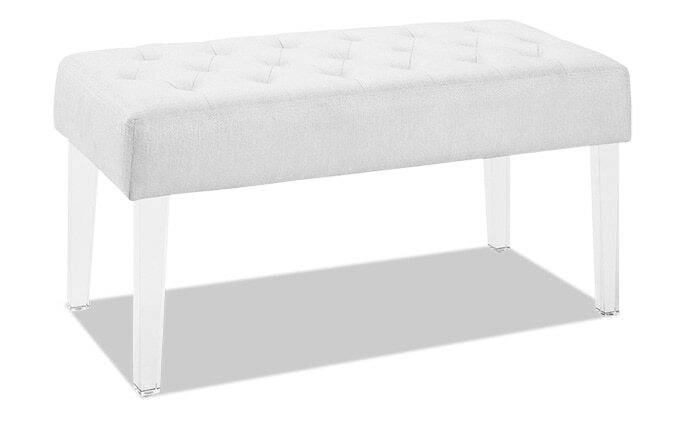 The plush top makes sitting comfortable, classic addition to the end of the bed, entry hall or under a large window.